Recently, Dr. Rita Selby, Medical director for the Coagulation Laboratory at UHN and Sunnybrook, recently published the Clinical and Laboratory Standards Institute (CLSI) guidelines on the detection of Lupus Anticoagulant. Dr. Selby was a member of the guideline committee which published the document. 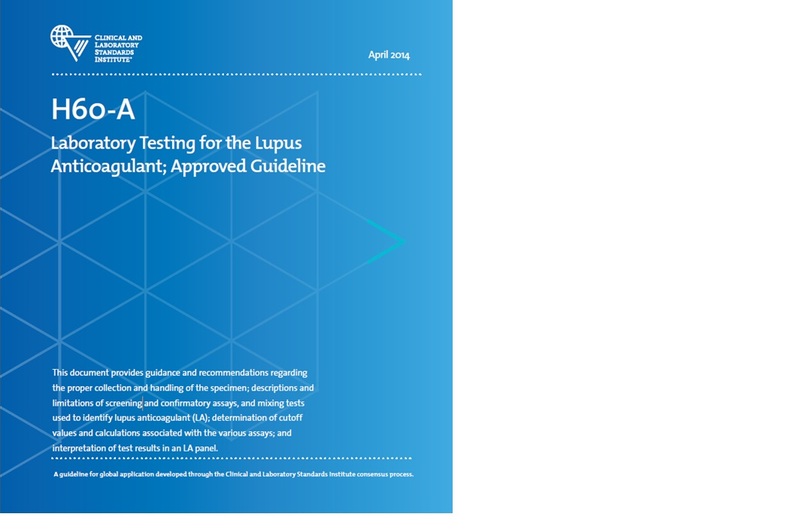 The published guidelines are designed to provide recommendations around the proper handling and collection of specimens, descriptions and limits of screening and confirmatory assays and how to identify lupus anticoagulant (LA) in the mixing of tests. It also contains information on the cutoff values and the associated calculations with the various assays and the interpretation of test results in an LA panel.